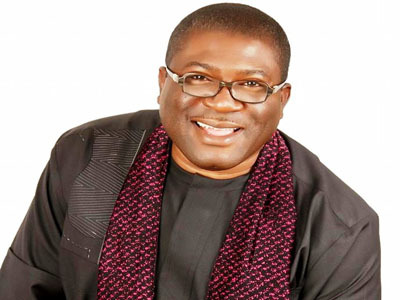 Imo State Deputy Governor, Prince Eze Madumere, speaks on his responsibilities as deputy governor, his relationship with Governor Rochas Okorocha, his marriage, family life and other issues of interest, in this interview. Many of your colleagues have described the office of the deputy governor as very challenging. What has been your own experience? Coming from where I came from as a former Chief of Staff in the Rescue Mission Government, the office of the Chief of Staff enabled me to know a lot about my current office as the deputy governor. And being that I was the coordinator and the engine room of the government at that time, most of the assignments the governor gave to the then deputy governor passed through me. This gave me enough understanding of some of the challenges that I am facing now as deputy governor. Of course, you know the deputy governor’s roles are very simple. Of course, you are supposed to basically complement the governor whenever he is absent. And the primary responsibility of the deputy governor as enshrined in the 1999 Constitution as amended, is to be the chairman of the Boundary Commission in the various states. Other assignments are at the discretion of the governor. So, you are only at the mercy of your governor, depending on the kind of relationship you have with him. In my own case, I have a wonderful relationship with my governor. That is why I have the privilege to represent him whenever it is necessary. What is the secret of your cordial relationship with the governor? It is simple. The reason is that most deputy governors you see in the system emerged through political alliance, and it is not always good for the polity. So when someone has a mandate, it is good to allow the person choose who he is very comfortable with. And most of the misunderstanding that come between governors and their deputies are as a result of political arrangements which they are not comfortable with. In my own case, the secret is that I grew through the ranks with my boss. We have been working together for more than twenty-three and a half years now. I started serving my boss as his Personal Assistant (PA) Foreign Affairs. Then I grew up in the system to become his Chief of Staff as a private individual. Then when we came into government, he also revalidated my appointment as a Chief of Staff. Then an opportunity came and I became the deputy governor the first time and was re-elected deputy governor. So what makes my relationship with my governor different from others is that we have known ourselves for a long time. It is like one big family. For me, Governor Rochas Okorocha is like a father. So I don’t even see myself as the deputy governor but as a PA (personal assistant) to my governor, and that has been my strength and secret. On different occasions, the governor has described you as his beloved son in whom he is well pleased. Can you explain this? His Excellency, my leader and my governor, is speaking from his heart. Like I said, this relationship has spanned more than two decades, and the governor knows me very well and I know him too. When the governor makes that kind of statement, it shows the trust and confidence he has in me, and I have always appreciated that from the bottom of my heart. I have always prayed to God to never allow me to let my boss down. Can you tell us what your experience has been working with him both as a private individual and as a governor? Like I have said, being with someone like Rochas Okorocha, my governor and leader, for the past 23 years, if you cannot know your boss within that time frame, you are not worthy to be his servant. My governor is a very dynamic individual. He is a multi-tasked and multi-talented individual. He is a man full of ideas, and at every giving opportunity, he wants to let out those things that are itching inside of him. But it takes the people around him to execute such things. So the experience has been enormous and challenging. Everyday has been a lesson. People perceive your boss as highly controversial. Having worked with him for such a long time, can you tell us who Rochas Okorocha really is? Those who perceive Rochas as controversial are people who do not know who he is. If you know him like I do, you will know that he is a man that is highly blessed by God and he is a great giver. He is a man that has the heart for the common people and does not want to see anyone in pain. He is also a man that is always willing to listen. Rochas Okorocha takes those decisions that politicians usually don’t take because he has the political will. Maybe that is why people say he is controversial. For instance, we are doing urban renewal in Owerri. We have done free education as a government and I can go on and on. But when such decisions are taken, people term them controversial. He is a man that is convinced about what he wants and all we need to do is to support him. The fact is that once things are not done the way the opposition wants it, they call it controversial. It is not proper to term Rochas as controversial. There are calls in some quarters that you should succeed your boss. Do you align yourself to such calls? Well it is not my call to make. First of all, you know I was the Chief of Staff. The day I became the deputy governor, I had no idea. It is also important for you to know that the letter that went to the House of Assembly for me to become the deputy governor came through me. The governor gave me the letter to go and submit to the Speaker, and I took the letter without even asking my boss whose name was in it, because I had the confidence that the governor knew what he was doing, despite the fact that we had extensive discussions till 1:00am prior to the letter and he asked me to go to sleep, that we would decide on what to do in the morning. Little did I know that the letter I sent to the Speaker contained my nomination as the deputy governor. So I never clamoured to become the deputy governor. There were many people then clamouring to replace the impeached deputy governor, but I was not among them. I was busy doing my work then as the Chief of Staff and now I am the Deputy Governor. So who am I to question God? If the Almighty God who we all worship says it is me, let it be so. But if God says no, it is not me, why will I struggle? I want to make it very clear, Rochas Okorocha does not owe me. He has done what he can do for me in life. He gave me an opportunity to be in Nigeria and become what I am today. I probably would still be living in America. So, for that platform he created for me, I will forever remain grateful. So if any opportunity comes in the future, we will deal with it. But for now, I am not clamouring for anything. Supposing it is the will of God that you succeed your boss, will you continue with his policies and programmes? Of course, it has been our dream that whoever will succeed my boss will be somebody who has the Rescue Mission vision at heart, so that the legacy of my governor and our team will be sustained. Six years running, how would you rate the Rochas Okorocha’s administration? The last six years have been challenging but we are happy that in the history of Imo State, no administration has surpassed what this Rescue Mission administration led by Owelle Rochas Okorocha has done. Is it the free education programme from primary to university level, which is unprecedented in the history of the state, or the 27 brand new general hospitals, or the 105 schools, or the about 1000km rural roads or the modernization of Owerri, Orlu and Okigwe cities and eight other satellite towns? This government has changed the face of Imo State. So the achievements are enormous and it will be a big task for subsequent administrations to surpass. People refer to you as Mr. Humility obviously as a result of your unassuming posture and attitude, which makes it difficult for people to easily identify you as the deputy governor. Where did you get the attribute from? It is the upbringing I had from my family. I came from a family of seven. I am the third male child. I have six brothers and a sister. One of the things our parents used to tell us in our early days was to always be ourselves no matter where we might find ourselves in life. When I was travelling to the US especially, I was advised to be myself and always remember home and not forget my roots. So I have always tried to be myself, and no person or position can make me change from being who I am. Talking about your growing up, were you born into a rich family? My father is an average but comfortable man. Although I was not born with a silver spoon, we were very comfortable. We had the opportunities every average Nigerian family would have. My father came from a very wretched family but broke the jinx by excelling in business. My father was once a major contractor in this state. The place I am living now as a deputy governor was actually built by my father in 1977. And as a young boy then, when they were building this house, I was running errand for the workers. My father and I never knew that many years later, I would live in the same house as deputy governor. Then, I was always involved in whatever my father was doing, and that greatly prepared me for life. As a young man, what did you do to make ends meet? My background of going to school in Lagos has so much to do with me, apart from my family upbringing. When I was in the primary school in Lagos, in between classes, we used to go to technical workshops and I used to participate in wood work. Then my school was at Alhaji Masha (Surulere), and we travelled all the way to Costaine for practicals. So that desire to succeed outside of my family has always been in me and I eventually grew up with it. Even as a young chap during my secondary school days, what my grandmother used to call me was ‘Engineer’, because each time the generator was down, I would be the one to fix it and other technical matters. So, growing up in Lagos created a lot of opportunities for me. Even to travel to the United States, my parents never knew how I travelled. So it is basically the exposure that I got in Lagos that gave me the opportunity to do most of things I did in life and succeed. Why didn’t you study Engineering, knowing that you are gifted in that field? The truth of the matter is that I was supposed to be an engineer, because basically, I was a science student. But along the line, during my college years, I had a scholarship from PepsiCo and the scholarship was to do Management. That was why I left Engineering, because I had to do what the organisation wanted. At what age did you get married and how did you propose to your wife? I had the opportunity to marry earlier than I did. I was 32 years when I got married, and there was so much pressure that I should marry then but I was trying to fix one or two things first, especially ensuring that my siblings were in good positions so that i wouldn’t have things that would pull me backwards. I was already living in the US before I met my wife. It was during one of my holiday trips that we met. I was coming out from the famous Works Layout, you may know where i’m talking about if only you know Owerri very well, then I saw a young lady step down from a taxi and I was driving with my immediate elder brother, a friend and one other lady friend that came with me from the United States. So when I sighted the lady, I told everyone in the car, ‘Look at that lady; she is going to be my wife.’They thought I was joking. When I levelled up with her, I called her but she refused to stop. So I came out of the car and kept following her until I cornered her and she said her father was around. So we agreed that I should pick her up at that corner the following day. The next day, before I came out, she was already waiting for me at the corner. That was how I met my wife. So I picked her up, but I didn’t know that she had malaria. So I ended up taking her to a clinic where she was treated for malaria that same day. Eventually, we started dating and I was shuttling between the United States and Nigeria. My governor was then a delegate to the Constitutional Conference and I was serving as his PA at the conference. That gave me the opportunity and I took a leave of absence from where I was working. So after two years of courtship, we finally got married in 1996. After our marriage, my first daughter came in 1997 and the marriage was blessed with four wonderful children: two beautiful girls and two handsome boys. At what point did you break even in life? It happened back in the United States. I was working with Pepsi and I was a very comfortable young man. I was one of those few people in the Nigerian community who bought a house in the US then at a very young age. I was not even married when I bought my first house. I bought the house in 1991 and five years later, I got married. Then it was not easy to see Nigerians buying houses in the US because they believed that they would be going back. The company I was working with gave me a lot of opportunities in so many countries overseas with a lot of bonuses attached. That gave me the resources to acquire few things around here. So, God has blessed us and we are very comfortable. A lot of people hold the opinion that you have not used your position as deputy governor to attract development to your area, especially in the area of road infrastructure? Well, what you need to understand is that the system we run is not the system that the governor comes and says he is from his own local government and the deputy governor says he is from his own local government and every other person should go to the other side and stay because they don’t have the governor or the deputy governor. The truth of the matter is that everything we do in this state, we share it equally among all the 27 local government areas. The same amount is distributed round. For instance, 70% of our projects are situated in Owerri town. Is the governor from Owerri? The answer is No. Or is the deputy governor from Owerri? But the right thing has to be done. If we do what the previous administrations did, my people will not feel the same way; everywhere would have been developed and maybe we would have concentrated on the local government areas of the governor and the deputy governor. But we have had our own share and need not be selfish. Another thing that you need to understand is that over the years, nothing was done yet my local government area is the closest local government to the city. Mbaitoli is the largest local government area and the people expect quick result because their son is the deputy governor, forgetting that Mbaitoli is vast and 20km of road is like nothing is there. But eventually, with time, most of these things will be in place. Recently the governor gave N20 million to each local government, but my local government got N40 million because of its size. Likewise Ngor-Okpala and Ohaji-Egbema. These are local government areas that have a lot of roads compared to others. If previous administrations did what we are doing now then all these things would have been a progression. Before in this state, before you could see a governor to consider your road, you would have known how many cows you have presented. But this time, we don’t need to know you. You were reported to be in prison custody before your boss won the election. What actually happened? It was during the grand finale of our governorship campaign. Then, we were in APGA and the then ruling party of Governor Ikedi Ohakim was PDP. I was heading the campaign of the Rescue Mission. We had sought for and got security clearance to hold our grand finale at the stadium and paid for the stadium. Eventually, the PDP decided to hold their grand finale the same day we were holding ours. They asked them to refund the money we paid for the stadium, saying that they were going to use the same venue. We went across to where they had township primary school. That is where the governor put a legacy project now known as the Owerri Township School. We paid for the place. But the PDP came again and took over the place, saying that they were using it as their parking lot and there was no other place that was comfortable. We went to our campaign headquarters, which was very close to the Okigwe Roundabout. That was where we set up to hold our grand finale. In the process, we heard that Governor Ohakim had invited the then President Olusegun Obasanjo for their grand finale at the stadium while I was at the ground co-ordinating our grand finale. You know that our venue was close to the road and there was bound to be a spillover of the crowd to the road. But they said that when the President’s convoy was passing, it was pelted with pure water, and I was accused of inciting the crowd against the President. Then in the night, they held a Security Council meeting and decided that since they could not get my boss, I should be arrested. That was how they stormed my hotel and arrested me in the night. I spent five days in the police cell. When women and civil society groups stormed the police headquarters, they promised to release me in the morning. But rather than release me, they quickly arraigned me in court the following morning with trump up charges, and without the Magistrate asking our views, I was remanded in prison custody and I spent five days in custody and a total of forty-one days in Nigerian prison. I was charged with 18 others I had never met in my life. We appeared before six different judges, and every morning, they would go to the house of the Judge we were to appear before and fire shots to frighten him. But with pressure coming from civil society groups, we were eventually granted bail six days before the governorship election. I am somebody who likes to be alone. That is the best way I relax. Once I have my ipad, I will be okay. I just like to be alone and plan myself very well. I don’t drink or smoke. I don’t hang out. I stay out of trouble because one of the biggest challenges I have is that I don’t go anywhere, I don’t visit people. And in my position, when you start hanging out, people will start quoting you out of context, saying the things you never said or did. I didn’t come from any political alliance; that is why I am mostly on my own.